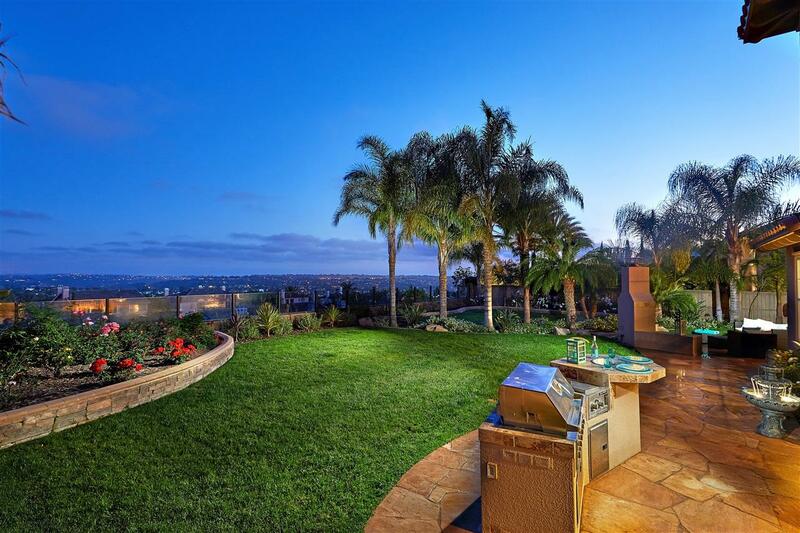 Ocean Views with twinkling lights of southwest exposure on an elevated .28 acres with casita. Solar panels are owned. Located on one of the most prestigious streets in La Costa Oaks, comes this architectural masterpiece with no detail overlooked. Gorgeous resort lot has a vaulted ceiling entrance with a bright floor plan boasting an updated color palette. French doors in every room lend themselves to quintessential So Cal indoor/ outdoor living with a pool sized back yard & island feel. Prettiest sunsets. 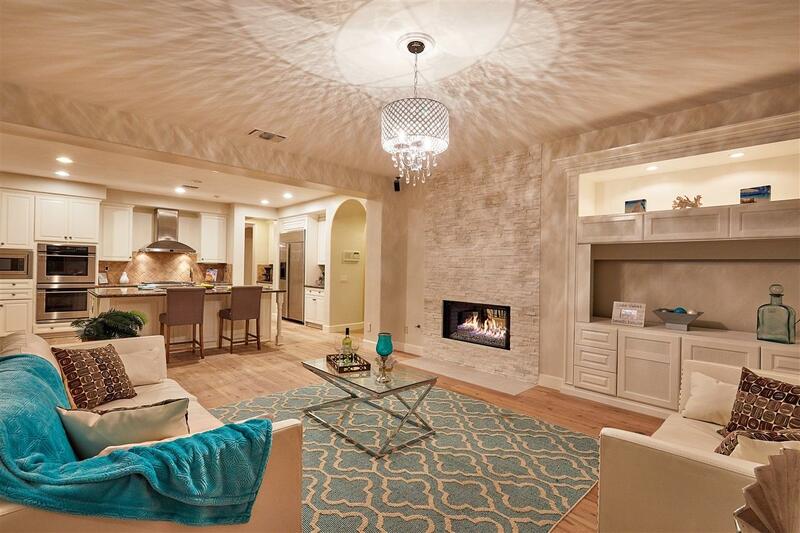 Home offers details such as white stacked stone fireplace, wrought iron fleur-de-lis leading up curved stairway, upgraded master bath, an interior courtyard with fountain for the nearby office and a detached Casita with private entrance. 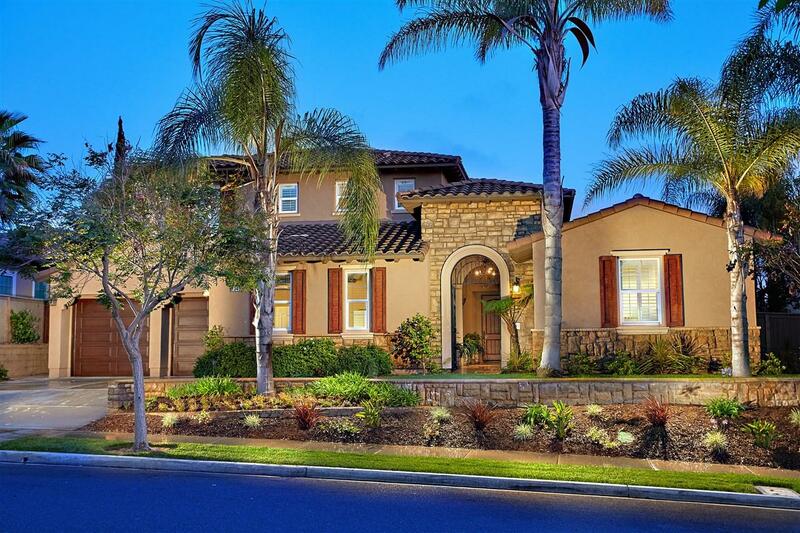 This beautiful estate is both exclusive and tranquil with high end specs accompanied by ocean views, all on the most desirable cul-de-sac in the community. The expansive back yard is perfect for entertaining with a full built in BBQ and stunning fireplace to enjoy the views with lots of grass and privacy for this serene location looking towards the water and city lights as well as occasional hot air balloons in the distance. 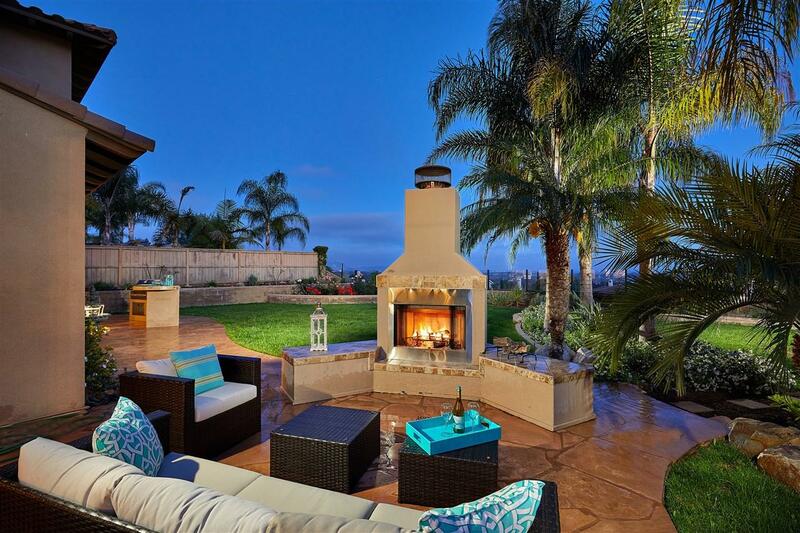 La Costa Oaks South has an elite community pool / spa / rec room / sidewalks. 4 bedroom suites upstairs with one jack and jill bath and nice size rooms with walk in closets. The master suite bath has huge his and hers closets as well as private shower with new glass enclosure. So many new upgrades just installed this month and over $300k total specs spent since built by a prestigious Builder. The casita has a 5th bedroom suite with full bathroom set away from the main home and inside the interior court yard next to fountain. Love the white oak wood floors throughout home with that restoration hardware look. Top schools rated 10/10 for Mission Estancia Elementary School, Diegueno Middle School, La Costa Canyon High School.